Vienna General Hospital have confirmed that Niki Lauda is expected to be discharged within a week, having returned to intensive care over the weekend after falling ill with the flu. Lauda s believed to have caught the infection on a family holiday to Ibiza, where he had been continuing his recovery from a lung transplant. 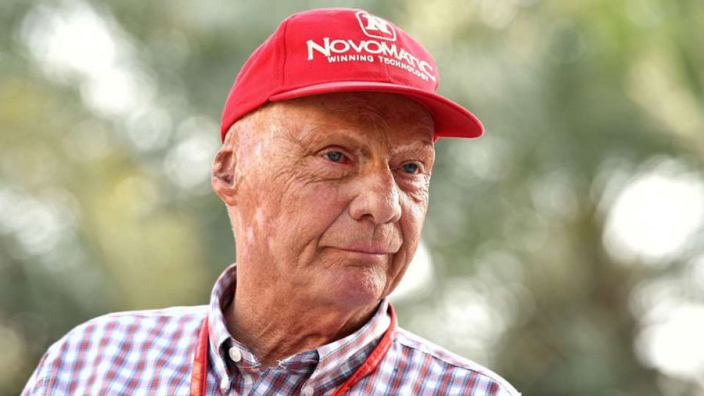 Lauda was hospitalised for much of the second half of 2018 after falling ill on another holiday and doctors have previously revealed that the three-time world champion came mere days from dying, before he was operated on. After undergoing "intensive" rehabilitation in hospital and a separate clinic, Lauda was discharged in December and immediately head for Ibiza with his family. According to Heute, Lauda's wife Birgit had also fallen ill in Spain. Lauda's immune system was weakened by his stay in hospital, while he remained too weak to visit grands prix in the latter half of las season, despite aiming to have returned at the Abu Dhabi GP. The 2019 season-opening Australian GP remains a target for Mercedes' non-executive chairman, although it is unclear if his latest trip to hospital will impact this. A hospital spokesperson told Heute: "It is planned that he will be released later this week." Lauda delivered his own video update in November after Mercedes were crowned constructors' champions for a fifth year in succession, with Lewis Hamilton also winning a fifth drivers' title.